Soon after my abduction, I was asked to write a book about my experiences. It felt good to write this book, not just because I could share my experience with others, but also to put on paper what really happened to me. Writing reinforced my sense that people can do much more without knowing it. I had never felt the need to write a book and now it was just there. More than 70,000 copies have since been sold. For 607 days I was locked up in dark cellars, heavily secured bedrooms and finally the longest period in a dark underground hutch of one and a half meters by two meters with as only company the insects and mice. I was in this hutch for fifteen months and I did not see anyone during all this time. The heavily armed Muslim rebels who guarded me wore balaclavas. I was thrown back and forth mentally between hope and despair and felt more than once that the end was near during the night time transportation in the trunk of a car. Towards another dark and uncertain place …. 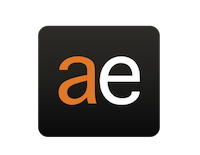 Arjan Erkel fascinates the reader from the beginning to the end with his impressive story about his abduction. A story that kept a large part of the Netherlands on the edge of their seats for a long time. The book “Abducts” the reader to literally experience what it is like to be trapped and shut out from the world for twenty months. In an alternating emotional and rational way, Erkel reports on his ongoing struggle to survive, his struggle against fear, insecurity and loneliness, and his struggle with himself and faith. His story shows how important it is to keep hope, to remain positive and to continue to try to keep conditions as bearable as possible with perseverance and self motivation. Generation YEP introduces the Young Ethnic Professionals. A new highly educated multicultural generation that is socially, economically and psychologically integrated in the Netherlands and offers opportunities to our country. An underexposed development that gets the space it deserves in this book. In personal interviews the YEPPIES tell about the respect they have for their parents, their growth, ambitions, vision and the importance of their own efforts, role models and identity. Interviews with top professionals from the business world, education and the government support the developments outlined by the YEPPIES. YEPPIES, now often overlooked, form a target group that is becoming larger and more prosperous. This means that they have grown commercially and socially into a target group to take serious account of and respond to. 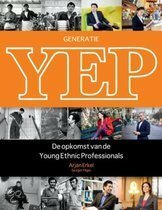 Generation YEP gives a fresh look at the opportunities that the multicultural society can offer for the future of the Netherlands. The book is a must for policymakers, marketers, recruiters, journalists and politicians who want to take advantage of the opportunities that this new generation offers society. Most young men who are suspected of terrorist activities have been imprisoned for years in the highly secure prisons of our country. The Netherlands breathes some freedom again. But is the danger really going through the new counterterrorism or is the radicalization process among young Muslims going on? What are the ideals of young Muslims who call the Koran and the life of the Prophet Mohammad as pure guideline of their life? What brings them together and does the AIVD try to drive them apart? What does the armed jihad look like? And what about the influence of media and politicians? What did not get a journalist succeeded, did Arjan Erkel succeed. He spoke to Samir A. in prison and also held conversations with people from his surroundings. For this book, which reads like a thriller, he was also allowed to use Samir’s diary entries. In response to his experiences with theDagestaanse and Chechen jihad fighters who kidnapped him, Erkel succeeded in writing a clear and compelling book, in which he based on the life of Samir A shed light on the lives of faithful youths somewhat up to now remained invisible to the general public. About Samir: For literary fans of current affairs an absolute must. And actually also for all novel lovers. The book is well written and reads smoothly.